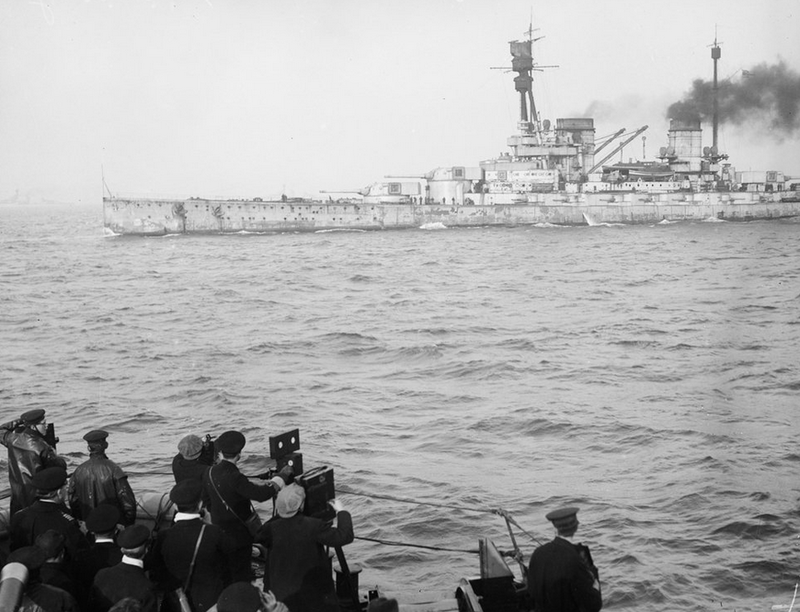 Days after the Armistice was signed, Admiral Beatty met with German naval representatives on his flagship, HMS Queen Elizabeth. 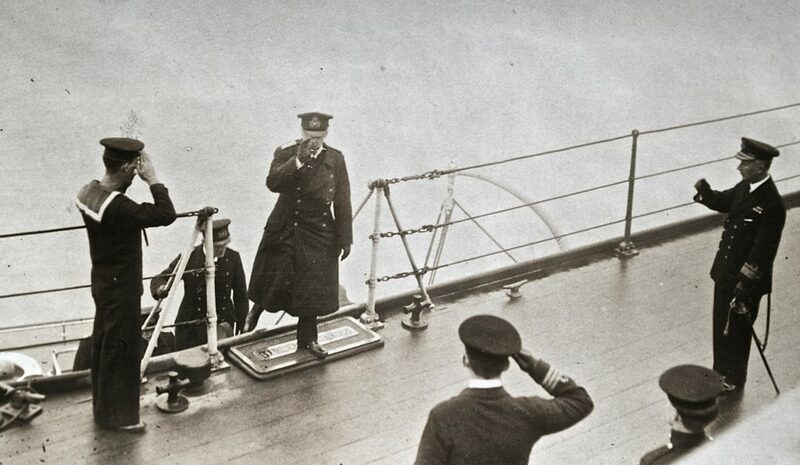 Admiral Meurer coming aboard HMS Queen Elizabeth. Author’s collection. Photo Supplied Central News. 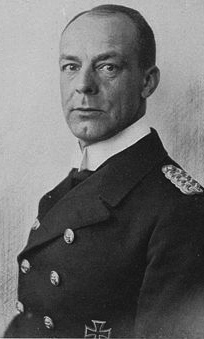 At midnight on November 16th Admiral von Meurer, the German representative left for Kiel with his orders. 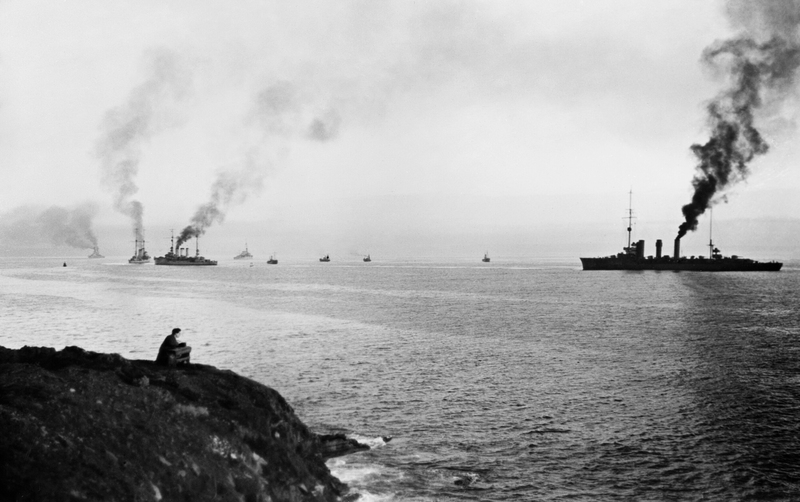 The High Seas Fleet was to be delivered into allied hands in Rosyth five days later. 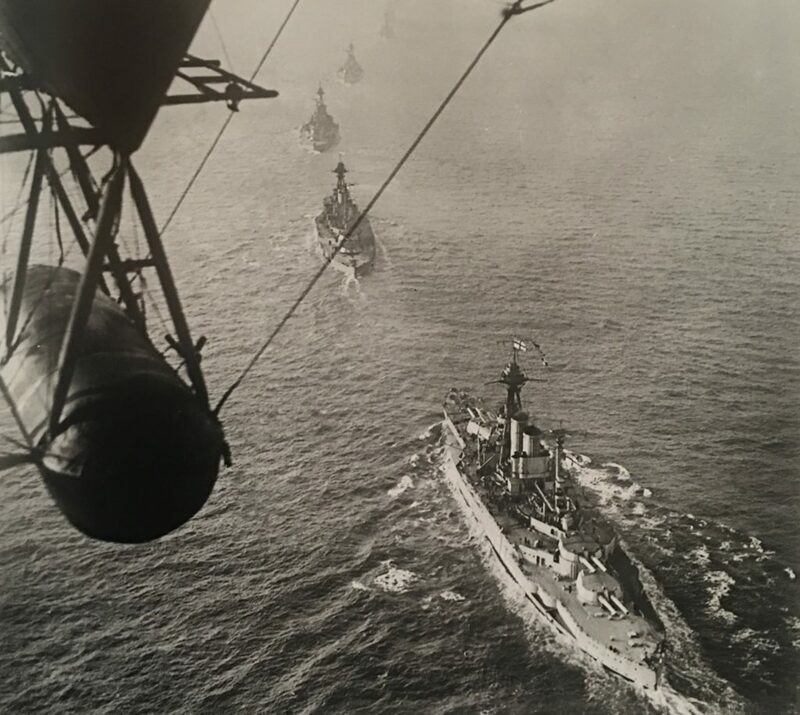 74 ships were demanded by the allies. Crews frantically took off anything that could assist in the hostile use of the ships – torpedoes, munitions, firing mechanisms. 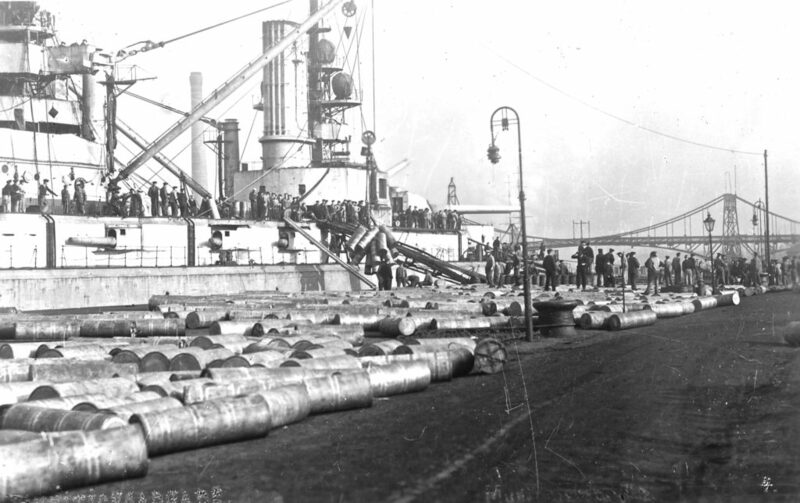 Coal, water and provisions were loaded up for an anticipated 37-day internment. 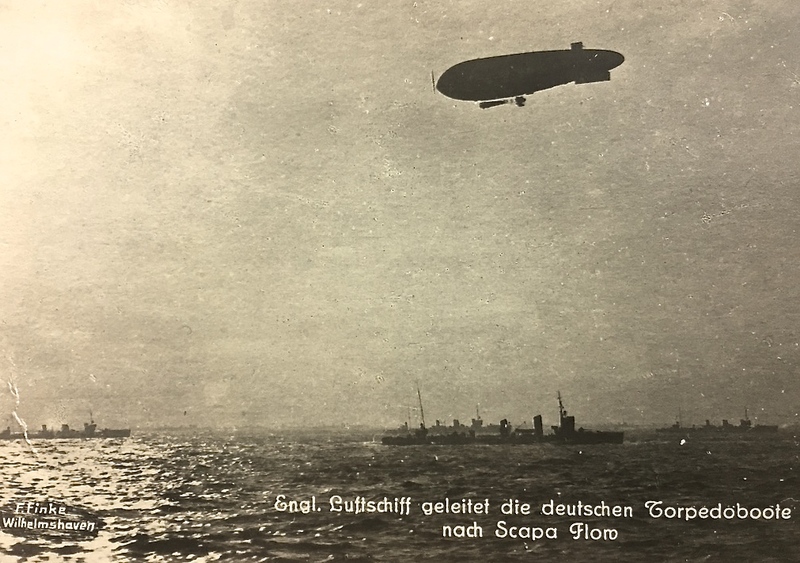 Under the command of Rear Admiral Ludwig von Reuter, the man chosen by the Commander in Chief, Admiral Hipper to take these once proud ships into captivity, the great procession left home harbours. They were met by more than 250 heavily armed allied ships. 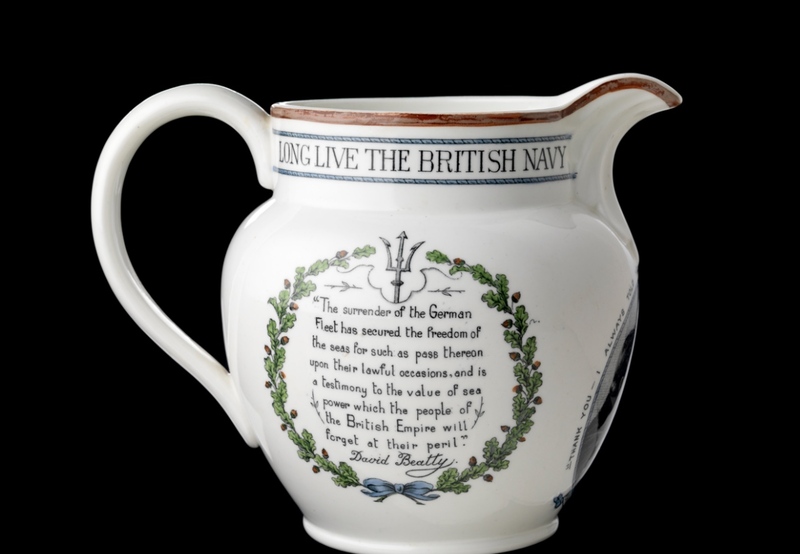 Cheering British sailors kept each ship under its guns, manning their guns and torpedo tubes. At sunset, Beatty announced that the German flag was to be hauled down and not to be raised again until he allowed it. 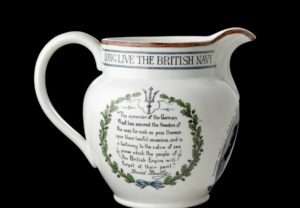 For almost all German naval officers, it was a slap in the face that would never be forgotten.